Mumbai: After producing coal-bed methane (CBM) gas in India, the EssarGroup is keen to use its expertise to prospect for CBM overseas, and is looking to enter into strategic partnerships with other oil and gas companies to do this, a person with direct knowledge of the development said. The diversified conglomerate, which holds its oil and gas assets through the London-listed Essar Energy Plc, is in talks with four of China’s largest oil and gas producing companies—PetroChina Co. Ltd, Sinopec Group, CNOOC Ltd, and China National Petroleum Corp.—to partner their CBM pursuits in China. “The company has made presentations to them (the Chinese companies) and discussions are on," the person, who did not want to be identified, added. Essar has also mandated a local consultant and a university in Indonesia to conduct a joint study on the feasibility of producing CBM in Indonesia. According to Indonesian norms, BP Migas will then call for a tender from local companies interested in developing the CBM blocks to discover the best price on offer. Essar will have the first right to match the best price and bag the project, another person said. None of them wanted to be identified as the process is continuing in both the countries. “Essar Energy is focused on delivering its growth projects both in its oil and gas and power businesses, and not on international merger and acquisition activity," a company spokesman said in response to an email sent on Friday. “We are making good progress and expect to complete projects with an investment value of almost $5 billion in the next few months, which will transform our cash flow and profitability." Essar is currently the largest company engaged in the exploration and development of CBM in India with five exploration blocks. It is currently producing around 33,000 standard cubic metre per day under test conditions from a coal block in Raniganj, West Bengal. The other four blocks awarded to it in 2010 have prospective resources of 7.6 trillion cubic feet of CBM gas, according to the company. Wherever Essar comes in as a strategic partner it will look to pick up at least a 40% stake and will function as an operator, the person with direct knowledge of development said. The potential realization by selling CBM in China and Indonesia could be far higher than the price fetched by the gas in India, he added. The test gas being produced at Raniganj is being sold through a pipeline to companies in the Durgapur industrial estate at a government-approved price of $5.25 per million British thermal units (mBtu), plus $1 per mBtu towards transportation charges. 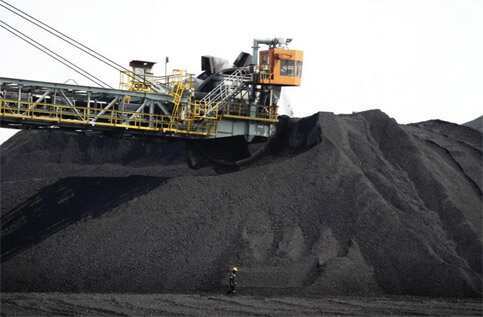 Analysts say countries such as China and Indonesia are actively looking to develop their coal resources to yield gaseous fuel as well, and it makes sense for Essar to look at opportunities there. Avinash Chandra, former director general of hydrocarbons, and chairman and managing director of Petrobiz Consultants Pvt. Ltd, an oil and gas consulting firm, says though the coal resources of countries such as China were greater than those of India, the Chinese national oil companies haven’t been able to tap it for CBM on their own. In its 11th five-year plan between 2005 and 2010, China aimed to produce 10 billion cubic metres of CBM from its mines, but ended up extracting only 2 billion cubic metres. Earlier this month, China decided to waive the duty on imports needed for CBM exploration and development projects in the 12th five-year plan ending 2015. “If private companies are now being encouraged to be a part of CBM development, it’s good news," Chandra said. Essar might want a share of this global CBM play having acquired the expertise for producing the gas within the country, says Alok Deshpande, oil and gas sector analyst at Elara Securities (India) Pvt. Ltd.